Since Mithril Mining was launched on PiePie, Mithril’s first partner, in March 2018, our second partner Yeemos is open for Mithril Mining as of today on iOS and Android platforms. You need to vent, but you prefer to keep it from friends? Yeemos Anonymity is your rescue! Whatever gives you joy or frowns, you can talk about it freely and anonymously! We get it. Drawing is more interesting than text comments. Yeemos allows you to comment on stories of friends and strangers with drawings, stickers or GIFs. The Doodle feature creates more fun for you to interact with others! Snap Emotions are special to Yeemos. Long press the emotion capsules to show your happiness, love, excitements, annoyance, sadness, fear or anger. You may as well tap on the emotion capsules continuously to show how strongly you feel about it! Wanna try these fun experiences? 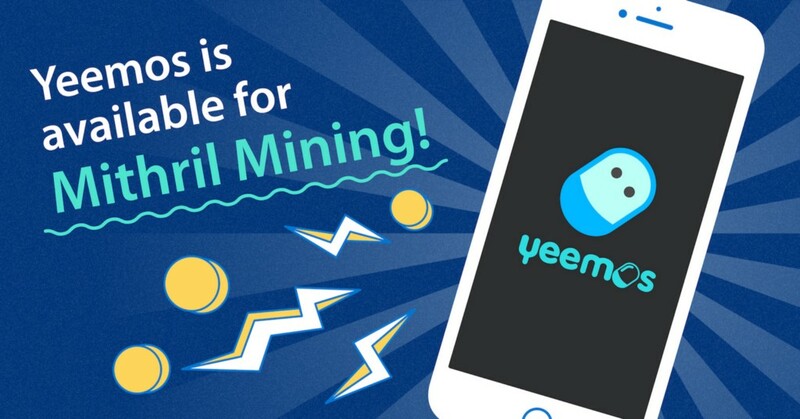 Download Yeemos and start your mining journey now!